Waterloo’s former international terminal started to come to life on the 23rd October, as the South West Trains-Network Rail Alliance took its first steps to re-open one of the five platforms at the facility six months ahead of schedule. Platform 20 welcomed the first passenger train service in over six years, following a special agreement put in place between the South West Trains-Network Rail Alliance and the Department for Transport. It means Platform 20 can be used to provide extra capacity at London Waterloo, the UK’s busiest station. Preparations are continuing to bring Platform 20 fully into use for timetabled services from May 2014. It will help accommodate the 108 additional carriages which will be introduced from this winter to provide extra capacity for around 23,000 peak time passengers every day. Six months ahead of its full opening, Platform 20 can be used when needed to relieve congestion at the station during times of disruption. Previously, there has been no spare capacity at Waterloo station. During disruption, the station can become heavily congested with trains arriving every minute at peak travelling times. Now Platform 20 will provide extra flexibility at the station and mean that passenger disruption will be minimised. 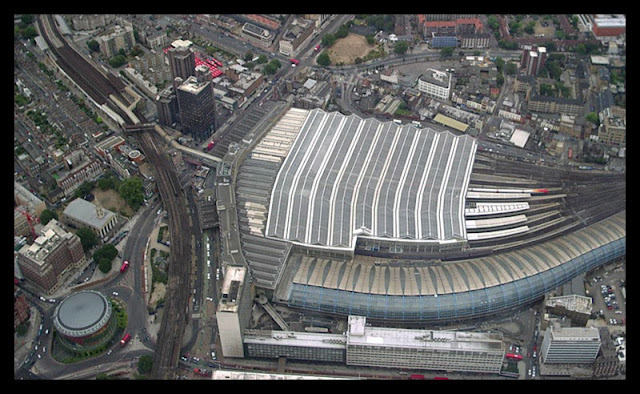 Tim Shoveller, Managing Director of the South West Trains-Network Rail Alliance, said: “This is the first step in our plan to provide extra capacity to and from the UK’s busiest station by re-opening the former Waterloo International Terminal and delivering additional carriages on our busiest routes. “Over the coming months, we’ll be completing our driver training programme and ensuring that all of our trains are ready for the full re-opening of Platform 20 in May 2014. In the lead up to that, we have worked with the Department for Transport to successfully secure approval six months ahead of the full opening to help provide an improved service for our passengers. "We operate one of the busiest commuter rail networks in Europe. Inevitably, due to the large volume of trains we run, there are times when our services are disrupted and Waterloo station becomes extremely congested. With nearly 95 million people passing through Waterloo station alone every year, having access to an additional, spare platform will allow us to help customers by reducing delays and providing greater flexibility to recover when things do go wrong. Under the new arrangements agreed with the Department for Transport and London & Continental, who have retained ownership of the former international terminal, from today (23 October) train services will be able to use Platform 20 during times of disruption. The contractual agreement with the Department for Transport will start officially from May 2014 when timetabled train services will start using Platform 20 on a permanent basis. Rail Minister Baroness Kramer said: "This is great news for the thousands of commuters who use services in and out of Waterloo. Those of us who frequently use South West Trains will be delighted that the former Eurostar platform can at last be used to improve domestic journeys. 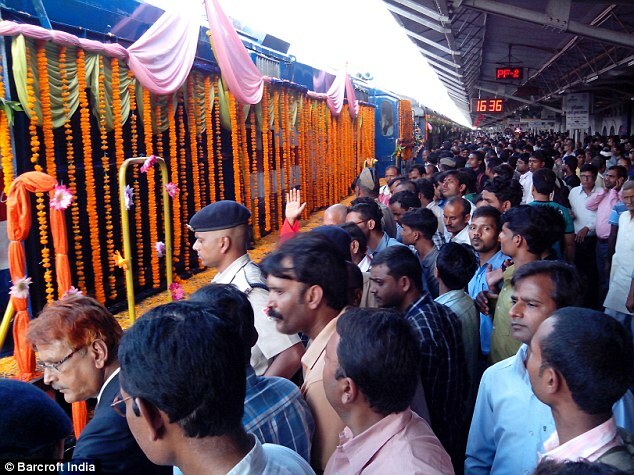 "Our railways are carrying record numbers of passengers on record numbers of journeys. The Government wants to see increased capacity and improved services for passengers, which is why we are investing billions to upgrade our rail network and making sure we have the transport system we need to compete in the global economic race." Proposals to bring the remaining four platforms of the Waterloo International Terminal back into use have been developed by the Alliance in response to the Department for Transport’s rail investment strategy. It offers a way of future-proofing one of the country’s key commuter networks. Mr Shoveller continued: "We’re continuing to work with the Department for Transport on significant proposals to re-open the remaining four international platforms and extend platforms 1-4 at Waterloo. These plans will greatly improve the infrastructure across our network, which 210 million passengers a year depend on, and it will ensure that we can continue to support economic growth." 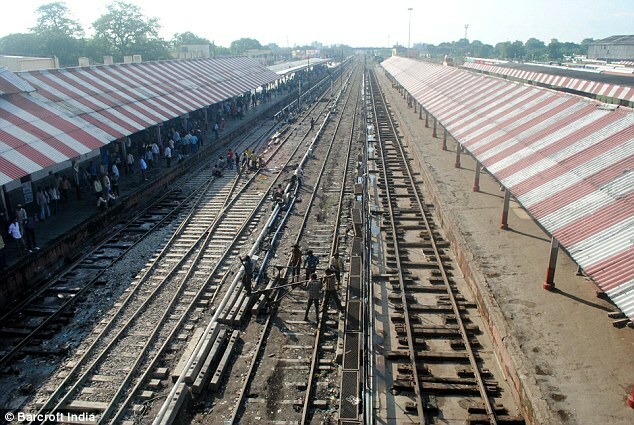 Try racing for a seat on this one - a suburban train station in northern India has laid claim to a railway platform measuring a staggering 1366-metres. The new platform - unveiled on Monday following some remodelling work - can accommodate two 26 carriage trains at the same time. 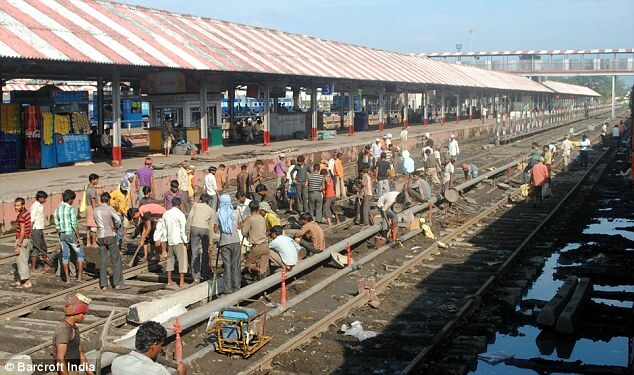 Gorakhpur railway station in Uttar Pradesh is claiming it as the world's longest, according to Indian railway officials. A suburban station in northern India has laid claim to owning the world's longest platform - measuring a staggering 366-metres, according to the country's railway officials. It has already been recognised by the Limca Book of Records, which recognises Indian achievements, and officials at Guinness have been notified so they can verify it as the world's longest. Once confirmed, Gorakhpur railway station will supersede another Indian platform in the West Bengal town of Kharagpur, which earlier held the record at 1072-metres. Other than West Bengal's Kharagpur, the only other rail platform rivalling Gorakhpur is State Street Centre subway station in Chicago, which measures 1067-metres. It is the longest in the United States. Cheriton Shuttle Terminal, Folkestone - Britain's longest - is fifth on the list of longest rail platforms in the world, measuring 791-metres. 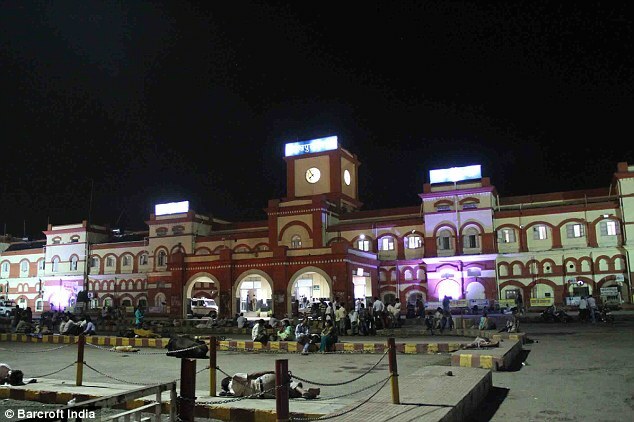 Gorakhpur station is a busy hub for foreign and local tourists who visit Gorakhpur, which is home to several historic Buddhist sites. Gorakhpur is named after ascetic Guru Gorakshnath, who popularised many forms of yoga.